Tonight's special guest is Marilyn Parker from Cleveland, Ohio, a survivor of severe child abuse. "There were times I could have died," she shares. "There were times I wish I had." She goes on, "I didn't know anything other than abuse. I didn't know children did NOT get abused. I did not know love. I just sailed through life, accepting things as they came. I was confused. Something didn't feel right." Her healing journey has led her to NAASCA. "Many people have told me, 'Tell your story.' I did that once [before] and it felt fabulous! I encourage you all to tell your story." Marilyn has suffered from very low self- esteem. And no wonder. "When I say I am a survivor of child abuse, I mean I was a slave," she shares. "I cleaned until 12 midnight and was awakened at 5 in the morning to clean before school. I was beaten daily; hair pulled out, and kicked, all daily, more than once daily, whenever I didn't do something right .. which was often." She goes on, "I was made to eat vomit, dog hair, red pepper flakes, and one time, broken glass. How am I alive?" Yet Marilyn's amazing journey has led her to be able to see her life on a different footing. "What it's like now is I am doing well. There are triggers where I get anxiety. I am emotionally and socially immature. Yet, I am doing well." She concludes, "I've lived to tell my story." She goes on,"It was so long ago but there are so many 'scars.' My main purpose now is to help others. 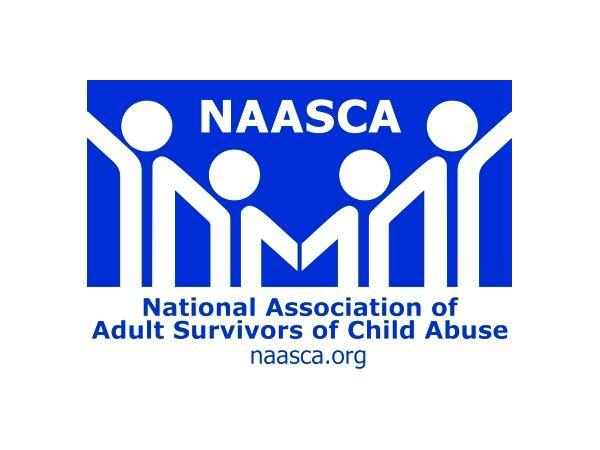 Thank you [NAASCA] for being there."